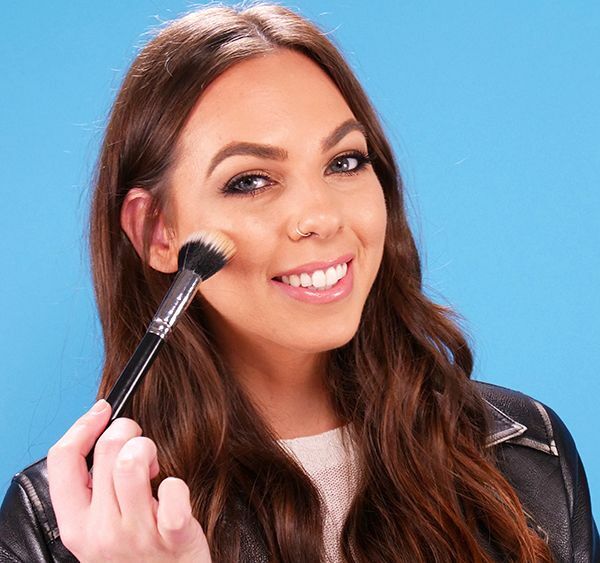 If you’ve just started wearing foundation, then the term “setting” may require clarification. Mineral foundation is a dry formula, which doesn’t require setting. Liquid foundation, however, can look shiny and wet, even when dry. To achieve a matte finish when using cream or liquid foundation, people apply setting powder on top. This tutorial shows two different ways to set makeup. Many people use setting powder to keep their foundation from breaking down during the day. Since the body’s natural oils can make the formula separate, setting powder absorbs the oil and keeps makeup looking flawless. Adding a spritz of setting spray sets makeup even further. That’s because most setting sprays contain polymers, which create a temporary film on the surface of the skin. These two products are often used together, but you can skip one and opt for the other depending on your skin’s needs. Watch the video to see how to apply them. 1. Apply your foundation and let it dry. 2. Shake setting powder into the jar lid and swirl a fluffy brush in it. 3. Tap the brush against the jar to knock off excess powder. 4. 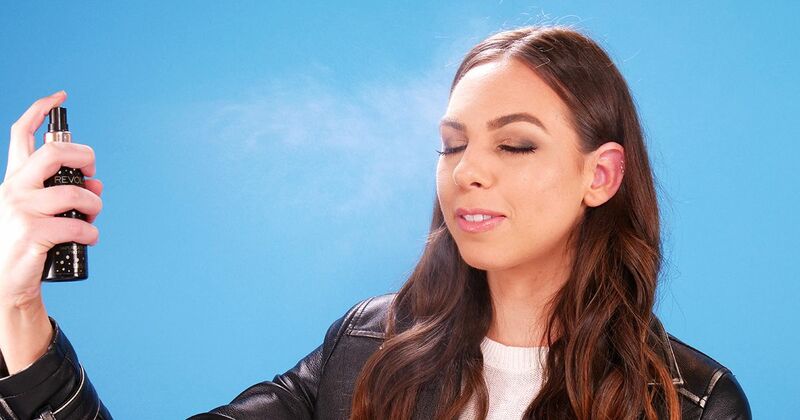 Sweep the powder onto your T-zone, including the center of the forehead, down the nose and onto the chin. 5. Clean the brush by wiping it onto the microfiber towel, then sweep the brush along the powdered areas of your face once more to remove excess powder. 6. Shake the setting spray bottle, then spray a fine mist onto your face in an “X” and “T” shape. 7. Fan your face with your hands to accelerate the drying time. After completing both steps, your makeup will be set for the day. If your skin tends to get oily, carry some oil blotting sheets in your purse. Just blot them against your forehead, cheeks, nose and chin as needed.